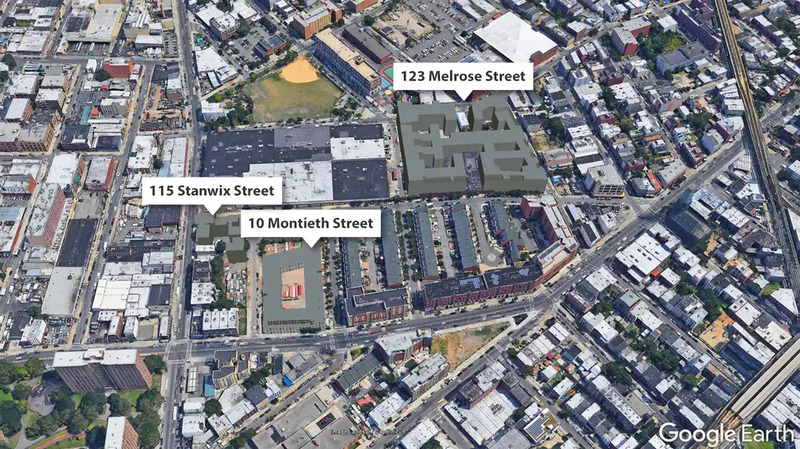 More than two years ago, permits were filed for the third rental development at Bushwick's Rheingold Brewery Site and just last month, renderings were finally revealed for the mixed-use 8-story complex, which is set to rise at 115 Stanwix Street, nearby another Rabsky Development at 10 Montieth Street and All Year Management's massive European village at 123 Melrose Street. 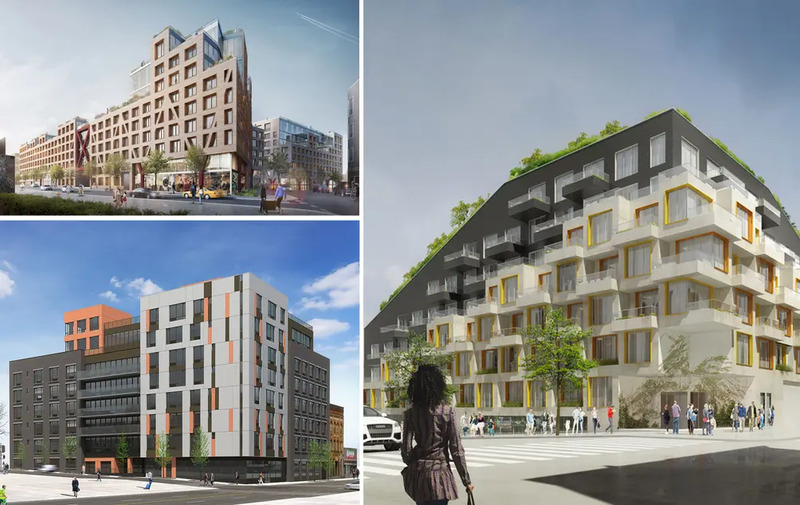 While developers tapped ODA to design both of those bold projects, Brooklyn-based ND Architecture is behind the more mellow 115 Stanwix. 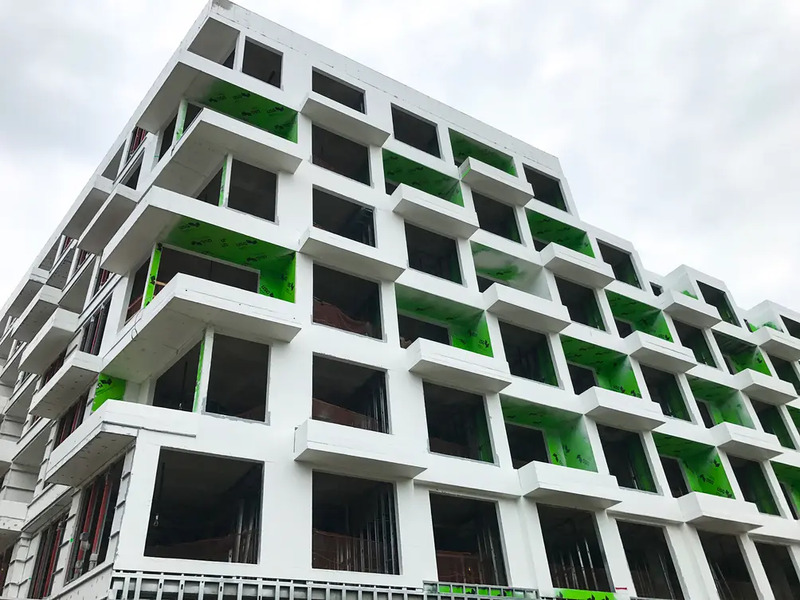 The building's modern and colorful facade, featuring a combination of white and brown with orange accents, would be eye-popping if not located next to the awe-inspiring O-shaped 10 Montieth. 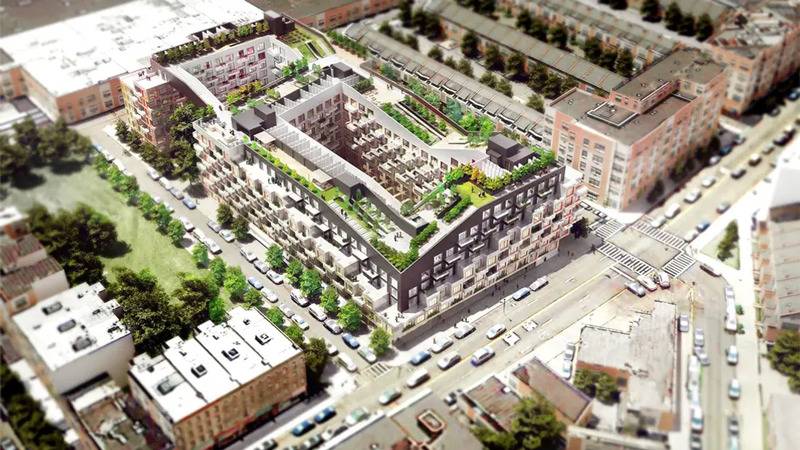 Altogether, the three developments will bring more than 1,500 apartments to the neighborhood. Updated permits indicate 115 Stanwix will have a total of 130 units to be spread throughout an impressive 90,000 square feet, which includes space for retail and 87,699 square feet of residential space. 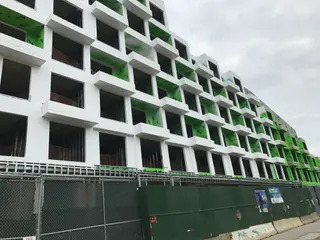 The building may not have a sloping rooftop garden but permits do call for a generous amount of amenities including residential storage, 65 enclosed parking spaces, bike parking, a laundry room, three outdoor decks, and two spacious indoor recreation spaces. 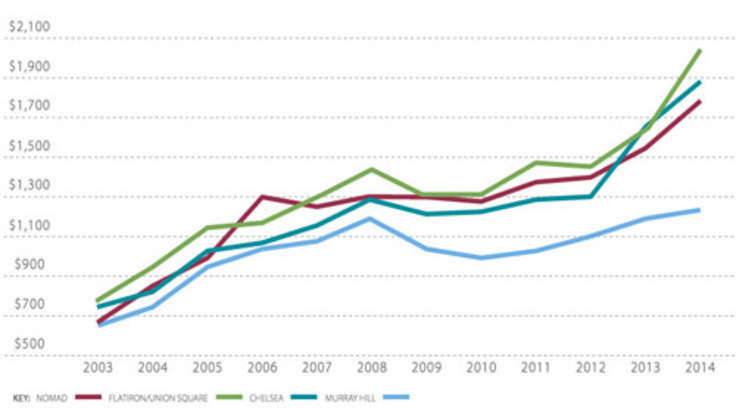 Commercial space will be on the first floor, and the bulk of the apartments will be located on floors 2-6. Recent photos taken by CityRealty show construction has yet to begin on the vacant lot. 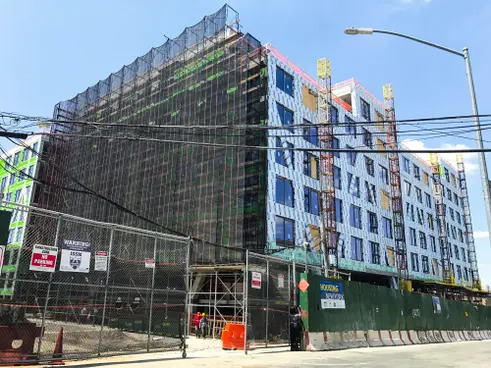 Next door, construction has topped out at 10 Montieth Street, the ODA-designed 7-story, 392-unit rental complex. 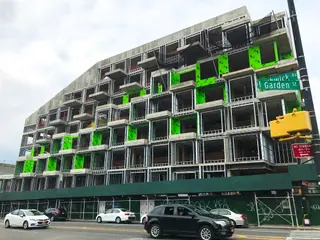 Its atypical design is unlike anything in Brooklyn with features like a 25,000-square-foot sloped green roof, an urban farm, a hiking and walking path, a climbing wall, an interior courtyard, and cascading terraces. Other features of the building include retail space, plenty of bike storage, car parking, a game room, lounge, library, and co-working spaces. 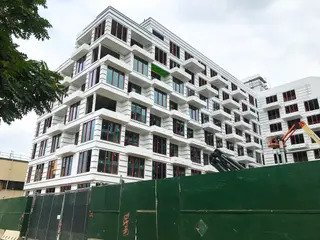 Twenty percent of the project's apartments will be affordable and construction should be wrapped up sometime next year. Interiors by Durukan Design can be found here. 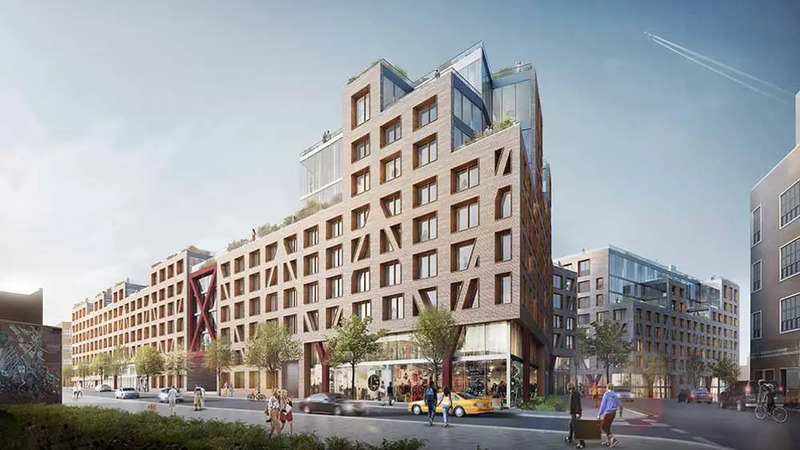 By far, the biggest development to hit the Rheingold Brewery site is another ODA-designed rental nearby at 123 Melrose Street. 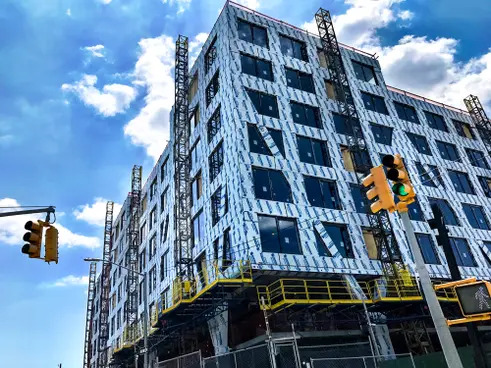 Photos show the 9-story structure, which employs a distinctive cross-bracing pattern, has also topped out and will be getting its facade soon. 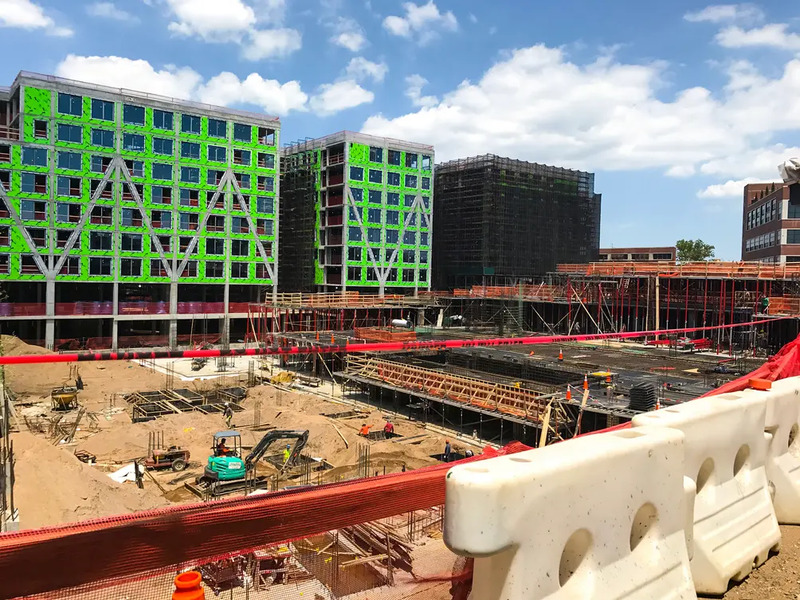 In total, the All Year Mangement development spans 1-million-square-foot and will host about 900 apartments, 183 of which will be affordable housing, 36 less than what was originally agreed upon. 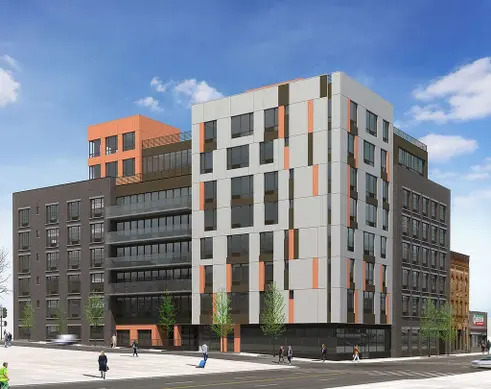 Upon completion, 123 Melrose will undoubtedly change the already-gentrifying Bushwick neighborhood. 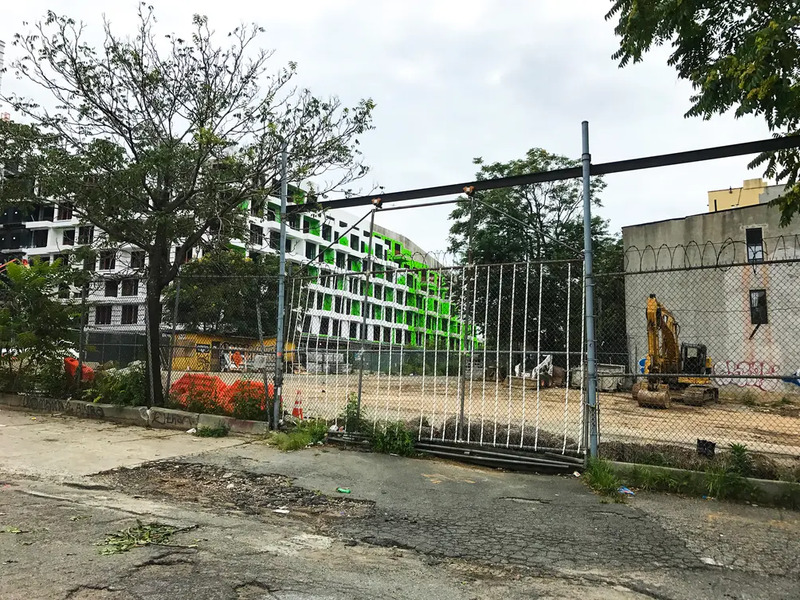 The building will evoke a strong sense of community with a number of its spaces open to the public - including a 17,850-square-foot public park, coffee shops, and art galleries. 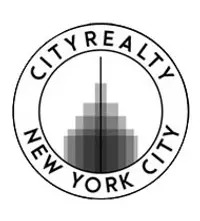 Other notable amenities include a 60,000-square-foot roof, an urban farm, lounges, fitness areas, and a series of interconnecting courtyards leading to the promenade. According to ODA's site, "Complementing the structure and efficiency of a more typical grid, the layout will encourage both leisure and discovery, the guiding principles of the design."